Lips + Pink lady pigment. Organic fixing pigment. Pink Lady Lips Plus is a Organic pigment (aqueous consistency) with an increased fixing power for the inner lip. To create long-lasting dream lips. 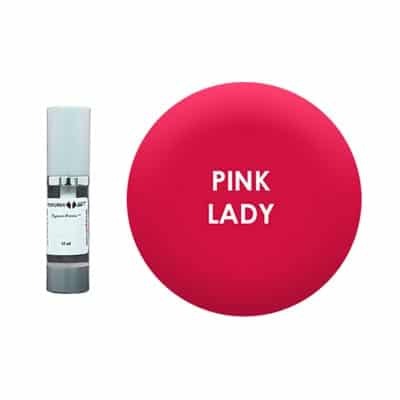 Pink Lady Lips Plus is a Organic pigment (aqueous consistency) with an increased fixing power for the inner lip. You had difficulty to maintain the color inside the lip? Here is our Lip + long-lasting range to create dream lips. The shades are suggested to neutralize the bluish lips and restore a healthy glow.